The NBA Finals are upon us and I can’t wait for tip off tomorrow night at Oracle Arena in Oakland when the Golden State Warriors host the Cleveland Cavaliers in game 1. You may wonder what professional basketball has to do with my babies, and more specifically my womb, so please…allow me to explain. Professional basketball, specifically the NBA has always been a big deal in my house. My ethnic heritage is Filipino and well, if there’s a blanket statement you can make about Filipino people, it’s safe to say that they love basketball. Watching basketball and growing up around the game has always been a part of my life. When satellite and cable systems came out with NBA League Pass, my family did not hesitate to purchase it and every night you could bet we would watch every game that we could…we were constantly plugged in. Then, once I graduated from college I went on to dance professionally for an NBA team, the Sacramento Kings. And so, basketball – the game and entertainment, took on an even bigger role in my life. 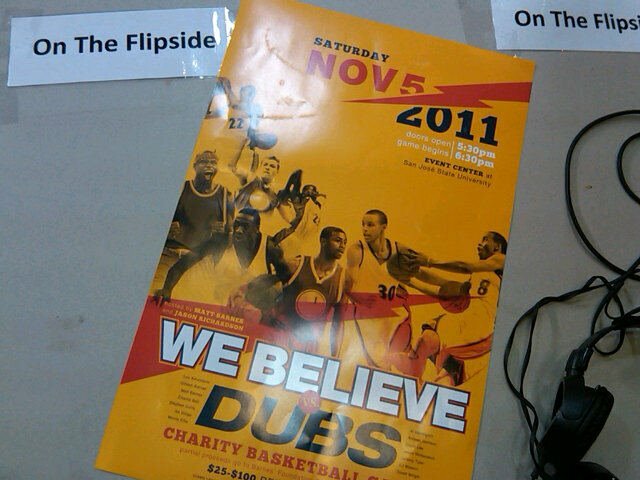 Eventually, I would cover NBA-related stories in my work as a television reporter and interview many of the league’s stars for my sports lifestyle and entertainment TV Show, On The Flipside. 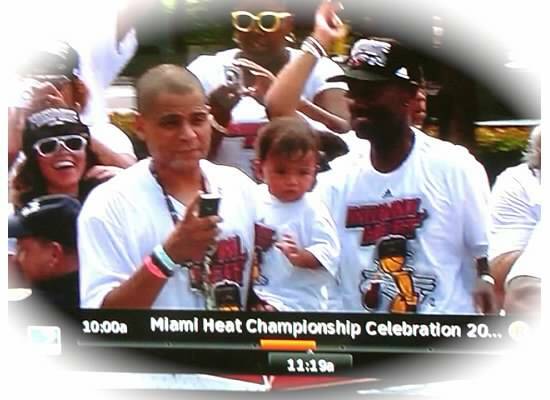 Fast forward to why any of this matters and how it all relates… I moved to Miami in the summer of 2006, right after the Miami HEAT got their first championship, and then, both of my boy’s’ births directly coincided with NBA Championships for the Miami HEAT. Not only were they both born in Miami-Dade County, but their father was also working for the team at that time, and as a result he was given a championship ring for each season. In 2012, I recall being at the huge victory celebration as a parade weaved through crowds of people in downtown Miami, and I waited for the caravan to enter American Airlines Arena. I had squeezed into my championship shirt at 38 weeks and put the hospital bag in the trunk, just in case we had an early entrance. 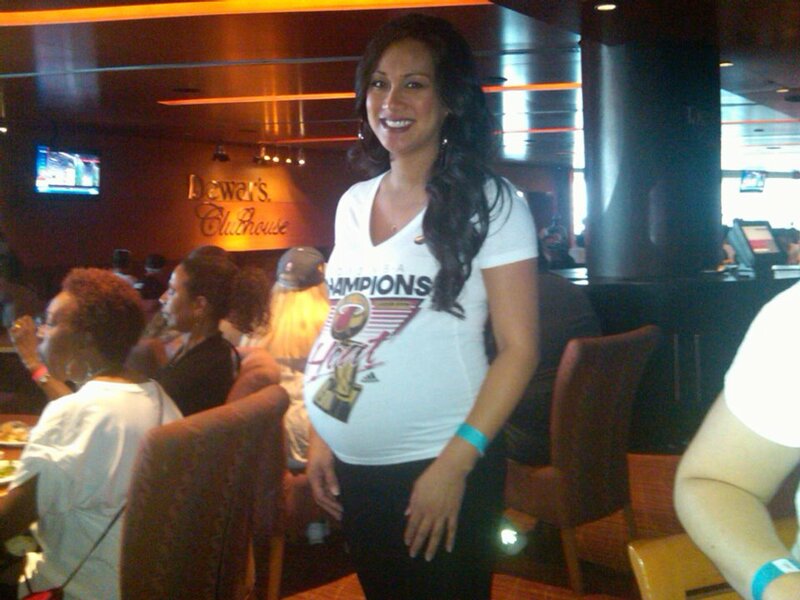 In 2013, there I was once again, 9+ months pregnant, and while I didn’t make it to the championship parade and festivities that time around, my not yet 1 year old baby was IN the parade, riding high atop a double-decker bus, getting his first taste of all the fanfare and attention that comes along with being champions. 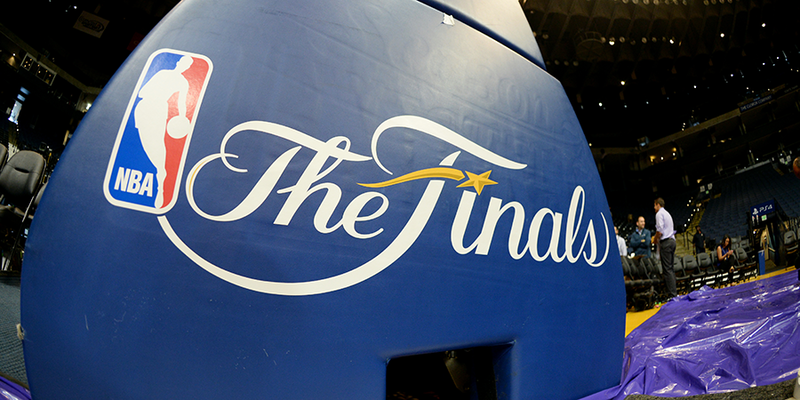 In 2014, the Miami HEAT did make it to the Finals again, but this time it didn’t result in a Championship. I was neither pregnant and had just moved out of Miami… Coincidence?? LOL! So this year, 2015, I am getting the family ready to move once again. It’s almost like the NBA Finals mark important moments in my life! And this time, not only are we moving, but it’s a homecoming for me, to my original stomping grounds, the Bay Area. 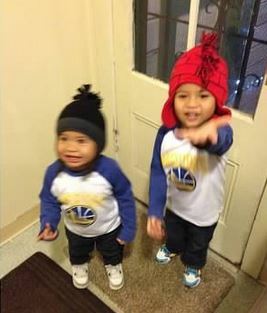 It just so happens, the Golden State Warriors – a team I grew up watching, is in the NBA Finals for the first time in 40 years! So, all this to say, there has to be a real connection here, right? There is no doubt we will be pulling for my hometown team and while I have an empty womb this time around, you’ve gotta believe there’s some kind of direct correlation, ya know? 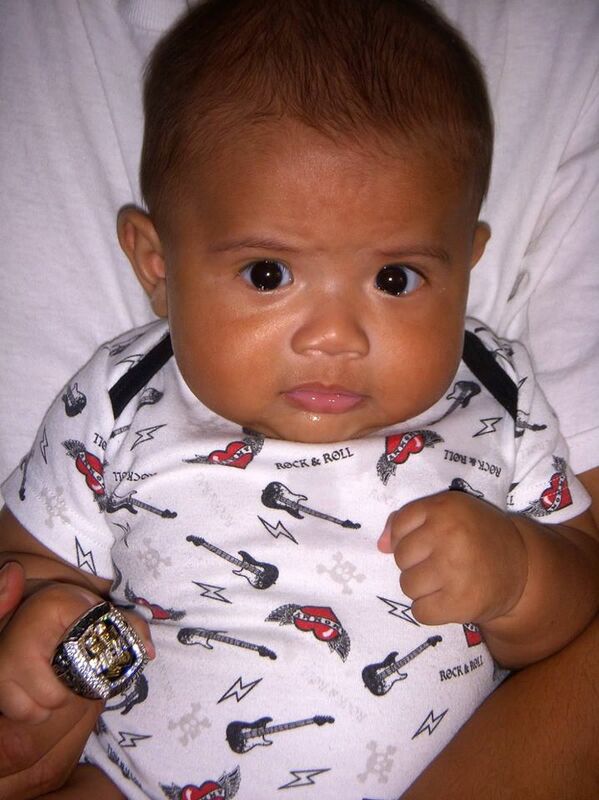 And – if it takes me to have another baby to spawn a championship for my city…it’s not out of the question! JUST SAYIN’!